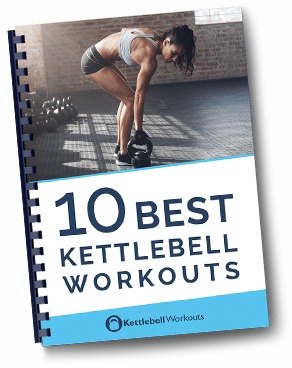 There are many kettlebell exercises that can be used to improve your abs but there is an order of things when it comes to kettlebell training that will ensure you get the most results from your time invested. 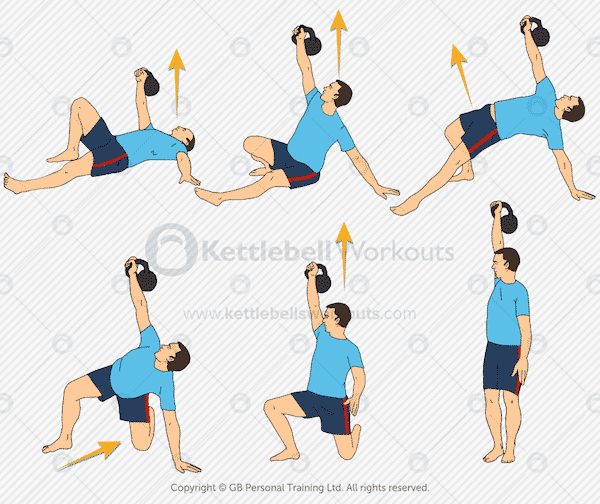 The 3 kettlebell ab workouts below progress logically ensuring that each workout builds on the one before it. The best place to start as a beginner using kettlebells is with the kettlebell slingshot. The kettlebell slingshot will work the core and abs but more importantly it will help you get used to the kettlebell weight. I recommend that you pair the Slingshot with the Single Handed Deadlift to form a great introductory workout. 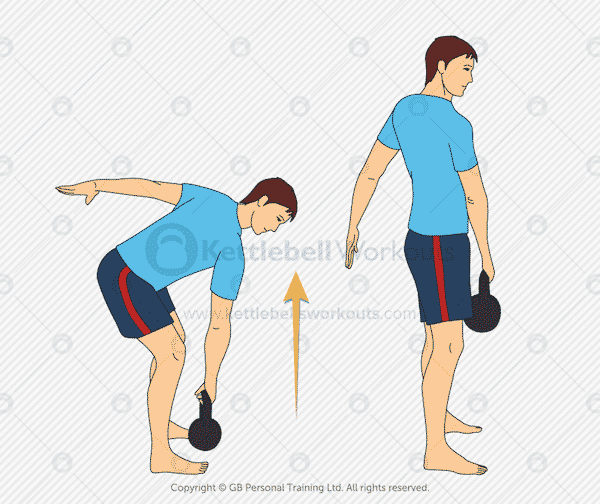 The Single Handed Deadlift will work most muscles in the body, increase your cardio and improve your movement skills ready for the all important kettlebell swing. So now you have the 2 exercises you can put them together into a great beginners kettlebell ab workout. Try to create a flow as you progress through the workout moving from one exercise to the next nice and smoothly without too much rest in between each exercise. 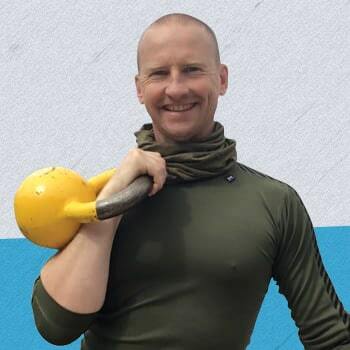 Once you have mastered workout 1 above you can start to progress onto the all important kettlebell swing which is not only a huge full body exercise but also a great ab exercise too. Fundamentally each time you reach the top of the kettlebell swing you are performing a standing dynamic plank exercise. 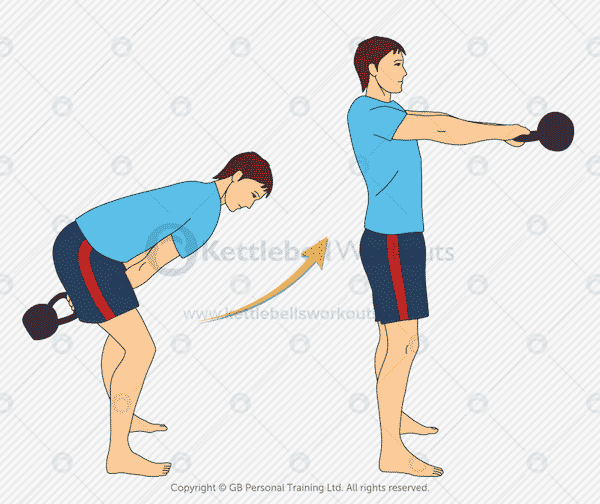 The kettlebell swing will also help to reduce body fat revealing your abs from underneath. Lets put together the kettlebell swing with the slingshot above for an excellent full body workout. As you get stronger and your technique and cardio improves you can increase the two handed swing time to 30 seconds (or 15 reps) rather than 20 seconds. The Turkish Get Up is a full body core and abs exercise that will take some practice to master but is well worth the effort. Your ultimate goal is to perform the full turkish get up but the half get up will provide an excellent ab workout and is the best place to start. 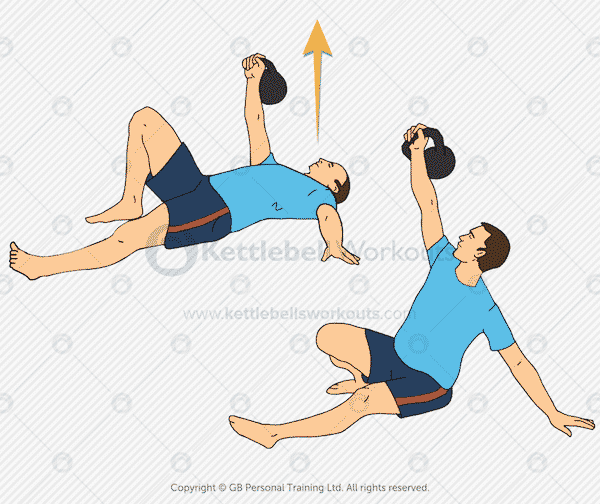 You can pair the Half Turkish Get Up with the Two Handed Kettlebell swing for a super full body workout. 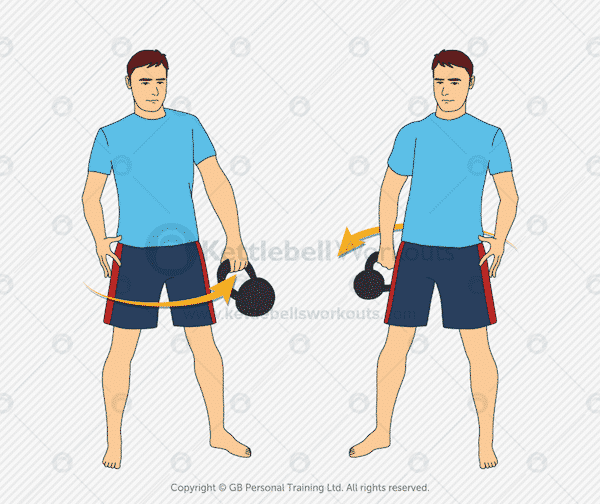 Try to avoid returning the kettlebell to the floor in between half get up repetitions. Keep the arm locked for the full amount of repetitions before changing sides. Once you can successfully get through this workout you can advance to the Full Turkish Get Up for a monster workout that will target most muscles in your body. Once you have managed to master all 3 of the above Beginner Kettlebell Ab Workouts you are well on your way to the next level of kettlebell training. Truth be told, the above 3 workouts will deliver more results than you realise. Practice and focus on great technique. I recommend you work your way through the workouts 3-5 times per week. Listen to your body and take more rest days if needed.